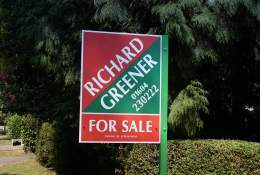 At Richard Greener we have always been aware that "the buyers of today are the sellers of tomorrow" and as a consequence you will always be treated with courtesy and respect. This may be your first purchase or your fifth, whatever the case you will be accompanied to the viewing by an experienced professional who will answer all your questions with honestly and sincerity and if we don't know the answer we will find out for you. One day you too will be a seller and we want you to remember what it was like when you bought your home through Richard Greener.